1. It brings a fasting man/woman closer to his/her Creator (Allah). 2. One develops a sense of love for the Holy Quran, as this month brings along with it an opportunity towards a special dedication, and also a love towards its recitation, understanding an remembrance. 3. Lailat-ul-Qadr (i.e., the Night of Majesty) falls in this month, and provides an opportunity for acceptance of prayer. 4. I'tikaf, i.e., staying in the mosque for the last ten days of this month (Ramazan), is observed, and in doing so one gets a better concentration and more time towards praying, reciting the Holy Quran and undergoing other religious activities. 5. Punctuality in the five obligatory prayers helps one develop a habit of offering one's prayers regularly and punctually. 6. The Tahajjud prayer is more widely observed. The faithful leave their warm beds in search of the Bliss of Allah. 7. The Tarawih prayer is an event that allows faithful to hear the Holy Quran from beginning to end. 8. The fasting Muslim learns to obey every command of Allah, the "Supreme Commander", both publicly and privately. 9. One refrains from evil deeds while one is fasting. 10. One is prepared for radical changes in one's life, as the advent of this month brings similar changes to one's daily schedule. 11. 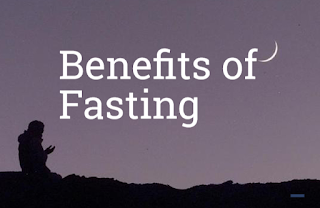 One develops a sense of unity and brotherhood with fellow Muslims all over the world by sharing the same spiritual experience (i.e., of fasting). 12. One obeys the saying of the Holy Prophet Muhammad, peace and blessings of Allah be upon him, by following his advice to refrain from harming one's fellow Muslims, physically and/or verbally. 13. Equality and uniformity is observed, as both black and white, wealthy and poor, master and servant, act according to the will of Allah. 14. The wealthy realise the essence of the word hunger, and thus become more dutiful towards the rights of the poor, the orphans, the widows and the needy. Thus one is more mindful towards the giving of charity and bringing about other pious deeds that can alleviate the miseries of the poor. 15. It develops the habit of eating moderately and avoiding wastage of food. 16. 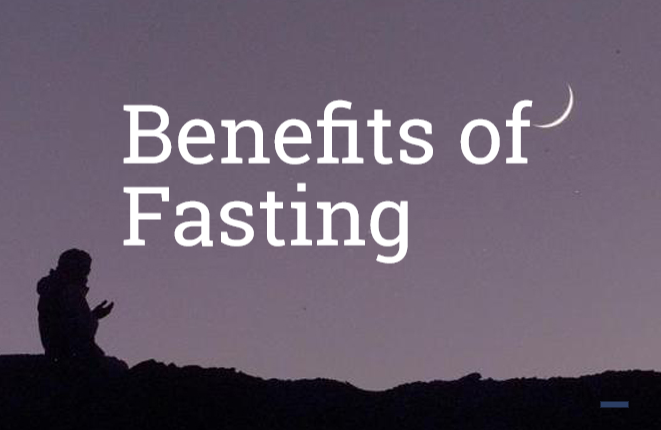 Allah forgives the previous sins of the fasting men and women when they seek His forgiveness. 17. Owing to a fasting person's pious acts, fellow-people love him and thus the foundation of a solid and healthy brotherhood is laid down.